Alan Jackson has a bug in his margarita. As unfortunate as that scenario sounds it’s a good thing for Alan while being a bad thing for the narrator in the song. 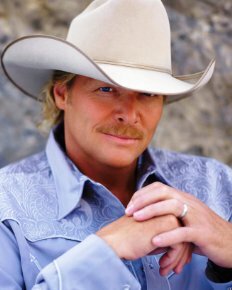 If you like Alan Jackson just the way he is you’ll love the new song [easyazon-link asin=”B0057IDCCS”]Long Way To Go[/easyazon-link] or what will become known as the [easyazon-link asin=”B0057IDCCS”]Bug In My Margarita[/easyazon-link]. Now I’ve been a fan of Alan’s for probably twenty years. It’s only been about twenty years since I’ve been listening to music and as far back as I can remember Alan Jackson was one of my favorites. I remember my mom owning his [easyazon-link asin=”B000002VPP”]Greatest Hits[/easyazon-link] album and me playing it on my parent’s CD player in the living room. With the new song – [easyazon-link asin=”B0057IDCCS”]Long Way To Go[/easyazon-link] – Alan keeps things familiar. When you’ve had success with a formula there is nothing wrong with fine tuning it. George Strait has been working the same formula for 30+ years and people still love the music he’s putting out. [easyazon-link asin=”B0057IDCCS”]Long Way To Go[/easyazon-link] or as the song’s lyric goes [easyazon-link asin=”B0057IDCCS”]Bug In My Margarita[/easyazon-link] sounds like Alan’s previous work. The song has the island flair. Kid Rock recently said in an interview that he can’t figure out why all country artists want to be like Jimmy Buffett, but in the summertime there is nothing better than a cold drink on the beach. That’s not the case for the guy in AJ’s song, though. This tune is about a down on his luck guy. When you have a bug in your drink there is usually nothing good going on. You can feel let down, left out, and without care. When you’re down on your luck there can be a long way to go to get back to happiness, but in life that’s kind of how things work. [easyazon-link asin=”B0057IDCCS”]Long Way To Go[/easyazon-link] is more great stuff from a country legend. Some people think the song isn’t Alan’s best and that he needs to change things up. That’s fair enough. In fact, Alan did change things up with [easyazon-link asin=”B00138J2TI”]Like Red On A Rose[/easyazon-link] just a few years back. I remember an interview (I can’t find the link) where he said he heard someone comment that ‘you can always count on Alan to make the same, good music’. Alan noted the quote changed his mindset. [easyazon-link asin=”B00138J2TI”]Like Red On A Rose[/easyazon-link] was a good album, but it wasn’t as commercially successful as the formula Alan had worked for 15+ years. After that album Alan got back to business doing what he does best and doing what his fans love best. [easyazon-link asin=”B001456HVG”]Good Time[/easyazon-link] saw Alan back to simple country music with heart. I think Alan is fine tuning the simple country formula with [easyazon-link asin=”B0057IDCCS”]Long Way To Go[/easyazon-link] and as a big AJ fan I couldn’t be happier. I shot the behind the scenes video and the the interviews for CMT, we were contracted through “TV Crews” and its going on three months and we can’t get paid for a long day of sweat and work paid my own crew and am out of pocket now $1200.00. I am sure Alan Jackson Jackson himself knows nothing of this. In the meantime I am struggling trying to pay my bills, and CMT and Alan Jackson are making millions, due in part to people like me. I’m sorry to hear that Jeff. Not a good deal.